Bruce Smith joined PJ Morgan Real Estate to assist in the development and growth of the PJ Morgan Business Group, a branch specializing in buying and selling businesses. His previous experience as well as his education, knowledge and diverse work experiences make him a valuable team member. 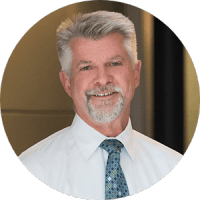 Prior to his time at PJ Morgan Business Group, Bruce specialized in assisting clients in both buying and selling businesses. His customized sales strategies, extensive research and thorough knowledge of each client and business helped Bruce to achieve results to the benefit of his customer. Before joining the real estate industry, Bruce retired from Dex Media after over 30 years of business to business sales. In this capacity, Bruce managed an account portfolio of over $2.1 million in Yellow Page, White Page and Internet Products. He earned the trust of his customers to help grow their business through print advertising, online advertising and web site development. He worked closely with his customers to analyze their business needs and provide solution based recommendations to help their revenues grow. Customer satisfaction was a priority to retain these customers and later became a priority when applying these skills to his real estate endeavors. In addition to his work experience, Bruce earned a B.S. in Business Administration from Dana College in Blair, NE. Always took time to show us potential new homes. Had a good feel for current market prices. Both times we sold within 1-2 days of listing and we got asking price. Was proactive and kept us well informed prior to closings. Continued to be responsive even after the closings.